I’m probably wrong. I’m often wrong. Especially my choice of words. 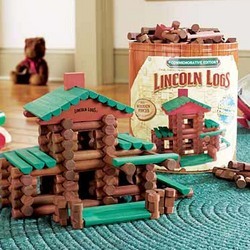 I think of words as Legos, Erector Sets, and Lincoln Logs. If the message is not confirmed on the initial creation, then tear the prose apart and rebuild. The design might need updating, reworking, perfecting, but the context may not change, simply the content. The problem with technology is many people lack the vision to use today’s technology in new and unique ways. Nothing wrong with lacking vision. Nothing wrong with lacking vision as long as one realizes complete knowledge of the technology is impossible. Visionaries are not alone. In fact, visionaries might not even be part of the ecosystem from which they are attributed as being a visionary. Writers, Ray Bradbury, Arthur C. Clarke, artists like Pollack, economists like Vernon Smith, computer scientists like Grace Murray Hopper have all been proclaimed as visionaries in areas outside of the their favored vocation. Visionaries pay attention. They pay attention, surround themselves with smart people, and fight not to succumb to their own hubris. They also immerse themselves in dialogue with others unlike them to seek ideas to solutions which have eluded them in their own field. Nature abhors a vacuum and so do Ideas. I may presume too much. When was the last time anyone used a kiosk? Those ATM like devices which once populated public spaces, especially malls, airports, and stadiums. Do they even exist any more? I ask as my sense is people don’t use them much any more. Not in the traditional sense. Maybe a museum might use a specialized interface to help a patron learn about an artifact. My sense is smartphone apps have replaced or are in the current state of replacing the kiosk. Bing Maps, Google Maps, and now Apple is a mapping company, and now Amazon is on the verge of becoming a mapping company. So much mapping technology online, and APIs to allow people to use GIS data in new unique and custom ways. Ways of pushing custom maps to everyone and anyone through their smartphones, through their Nooks, through their Amazon Fires, iPhones, iPads, and Galaxy Tabs. So many devices and technologies, portable, friendly, and easy to update. Why would an institutional of any type engage in the creation of kiosks? Devices which are literally hard-wired into the floor or a wall and by their nature immobile. The ability to print a map and carry a hard-copy map hardly seems anything more than quaint and nostalgic. OK, maybe not nostalgic, but a recent Yahoo!News article sides with me. Electronic, GPS-enable devices are not the wave of the future. They are part of today, and yesterday, of the last decade. These devices are an intrinsic, inseparable component of tomorrow. People and organizations which view GPS-enabled technology as “future” technology, as a “good idea for future development” risk hitting the iceberg. Maintaining a current course without paying attention to the environment around you, is charting a course for disaster. Rural America is nice but suffers from the simple Friction of Distance, of being away from areas of innovation, core areas of ideas. Rural areas tend to lean conservative, and conservative is inherently resistant to change and the liberalizing influence of education and technology. Resistance to change drives innovation away into more amenable regions. When change is finally accepted, “change” is heralded as a “great boon to our local community.” While being a boon now may be true, it was just as true 5 years ago. There is a saying “I’m so far behind I think I’m ahead.” The runner can’t see the person ahead so in his mind he must be first. Another saying goes “I’m trying to stay ahead of the curve.” Which is admirable as most of us are trying not to fall too far behind the crest of the curve. Yet, like the first saying, some people are so far behind they missed the first curve entirely. Unfortunately, these people have titles like “Director,” “CEO,” “CIO,” “President,” and “Vice-President.” When they become aware of the current, they prepare for the wave they see, believing they are “ahead.” Not really; they are simply joining a movement which began a long time ago. Frustration ensues when leaders, bosses, managers who believe themselves to be leading the ship to port while the crew realized the ship was breached by an iceberg three hours ago and the ship is taking on water. The captain self-assured in the unsinkable nature of his institution, er, ship, refuses to acknowledge the changing situation. 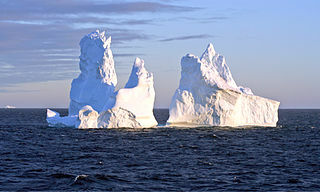 One would think institutions of Higher Learning would be immune to ignoring icebergs. Nope. My philosophy is that which is run and operated by people is inherently susceptible to all the foibles and faults of humans regardless of the aura and reputation surrounding the institution. I return to my question. Today, using a Thunderbolt, Galaxy S3, iPhone 4, or other popular devices people can navigate independently of paper maps and independent of hard-wired computer terminals. 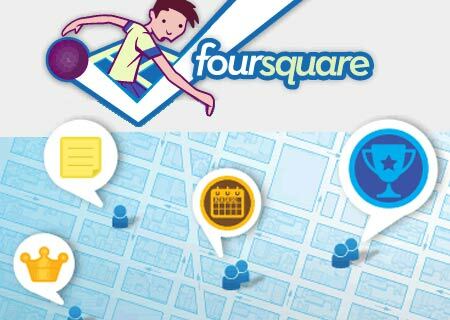 Individuals can use FourSquare, Yelp, GetGlue, Twitter, Google+, or other social media apps to locate themselves, locate others, and find places of interest nearby simply by using their smartphone. Did you know the Dictionary app was location-aware? I discovered I could see the words my neighbors were looking up. If you use HootSuite, did you know you can see the tweets of people within a 25-mile radius? My point is information is easy-to-obtain and location-aware and most importantly, mobile. Why would an agency, organization, office, institution, or company invest in a mapping technology which requires someone to travel to a fix location in order to use?